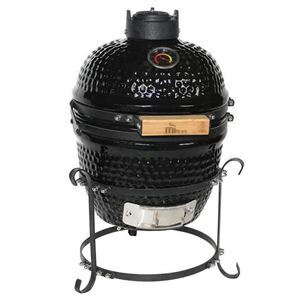 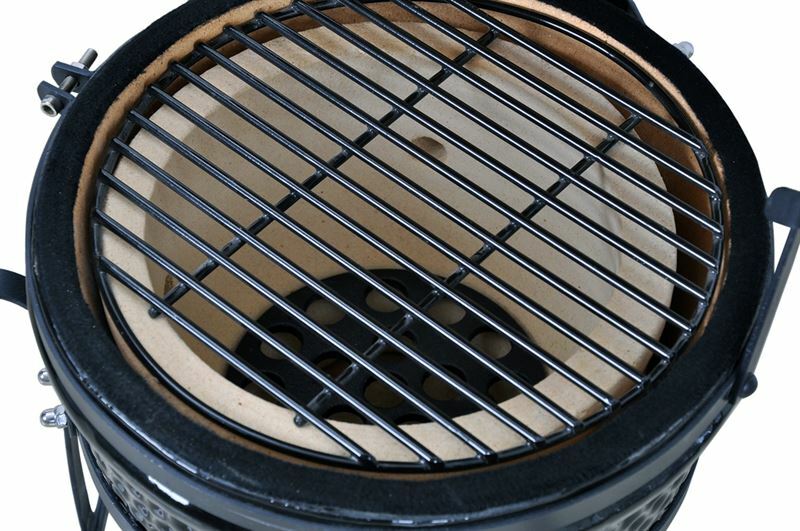 The Kamado Mini BBQ grill is a round clay pot with a removable domed clay lid. 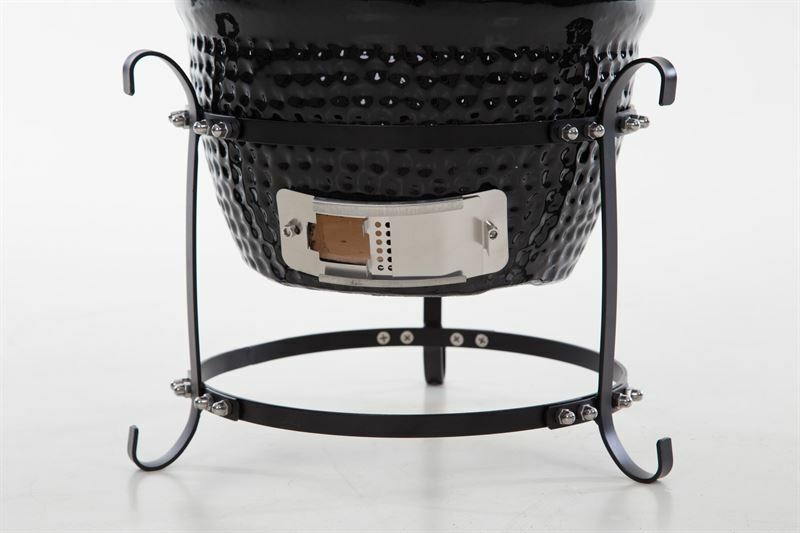 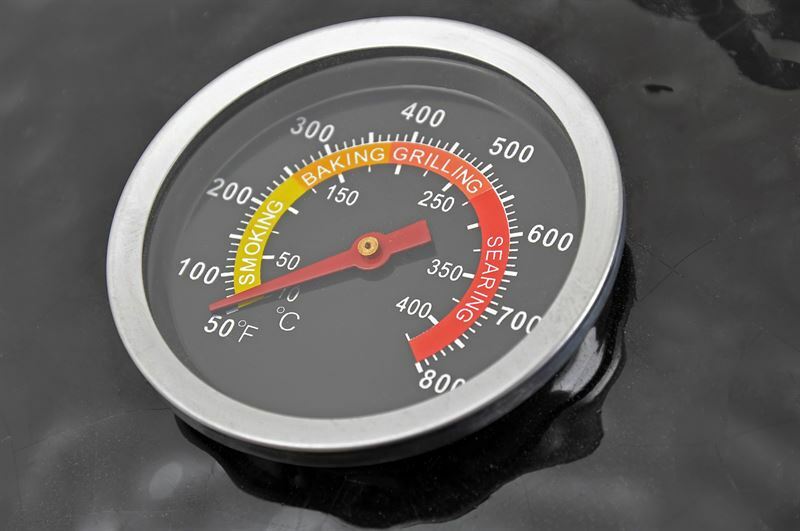 Kamado Mini BBQ grill is made from a variety of materials including high fire ceramics, refractory materials, and stainless steel. 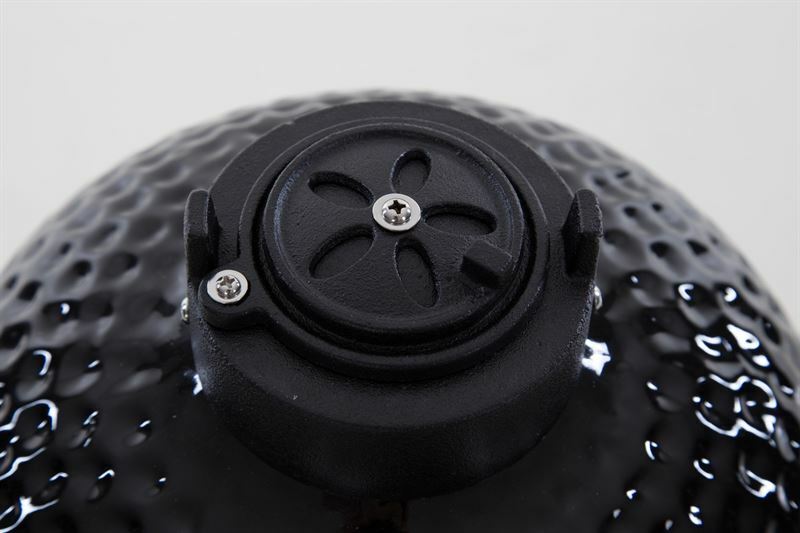 Outer surface is a high gloss ceramic glaze. 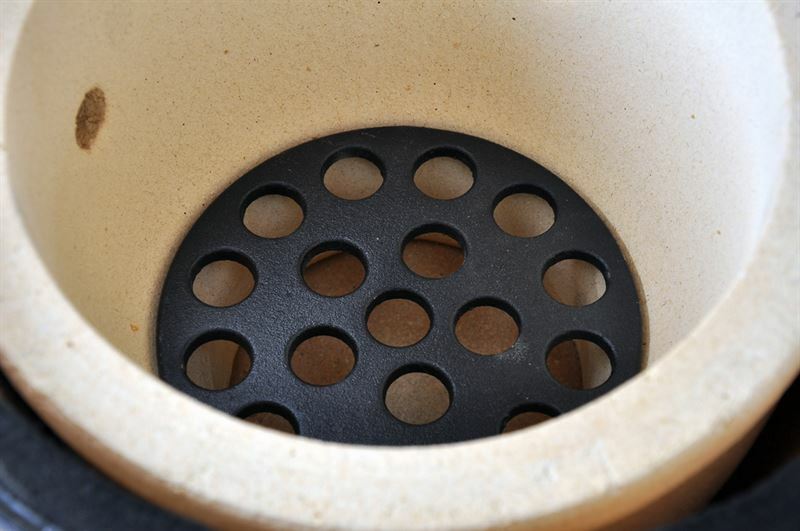 In addition to the outer ceramic shell, a ceramic fire box inside the unit holds charcoal.